If your loved one has dealt with negligence or abuse at a Pooler nursing home, know that you’re not alone. That’s why at Schenk Smith, we’ve developed a site with countless resources to help you find the answers you seek. After you’ve had a chance to check out all of our resources, we highly recommend that you give us a call to schedule a free consultation, so that we can discuss your case. We’re here to help you. Abuse and neglect occur quite frequently in nursing homes. Neglect occurs when nurses fail to set a reasonable standard of care that is expected of them under Georgia law. Even though the acts may be unintentional, they still should not be tolerated. Abuse on the other hand is an intentional act that was done with the purpose to harm or injure someone. It doesn’t matter from who the abuse came from, it should never be tolerated in any nursing home. What does filing a lawsuit mean? Filing a lawsuit means that you’ve found an instance of negligence or abuse, that has gone against the reasonable standard of care expected from a nursing home. If your loved one has suffered from negligence or abuse, then it is in their right or your right, to pursue a lawsuit. To pursue a lawsuit, a claim must first be brought to the court. We first advise you to retain an attorney who will help guide you through this process. Before a claim is filed to pursue a suit, your attorney will prepare a demand package which contains evidence that point towards the negligent or abusive act that was done against your loved one. The demand package will also contain a specific amount of money in order to settle the claim. The nursing home and their attorneys will then look over the demand package and conduct their own investigation. After, they will usually counter with a much lower figure to settle the claim. Negotiations will then take place to reach a settlement. If a settlement cannot be reached, then the lawsuit will be filed. Once the lawsuit is filed, a trial will then take place, but there still will be a chance to reach a settlement even after the lawsuit has been filed. How much will a lawsuit cost me out of pocket? Most injury attorneys will work for you on a contingency fee. This means that they won’t collect any payment from you unless a settlement or a verdict in your favor has been reached after a trial. This means you won’t have to pay anything to them. Usually there are other fees that will need to be covered such as court costs, or fees for medical experts. Most of the attorneys you’ll encounter will pay these fees for you up front as part of their contingency plan. They’ll then be able to recoup the fees paid at the time a settlement or a verdict in your favor is reached. That’s why it is imperative for you to choose an attorney that works based off a contingency fee. This also helps guarantee you that you will be getting their best efforts, since they will be driven to earn back the money they spent in covering your fees. We are Schenk Smith, your Pooler nursing home lawyers. All of our efforts are dedicated solely towards nursing home cases. We do not practice any other form of law, and we are not interested in representing others. We focus on helping elderly residents who have suffered negligence or abuse from their nursing homes. 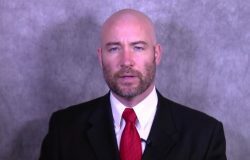 Our founding attorney Will Smith, was a CNA for a decade before he became an attorney. His passion resonates throughout our firm, which is why we are 100% dedicated to helping nursing home residents. Our approach, skills and resources are all catered to help you and your loved one recoup what’s rightfully yours. After you’ve visited our site and checked out our videos, podcast, and blog, please give us a call to schedule a free consultation so that we can discuss your case. We’ll come to you regardless of where you stay by. Whether you’re by the Mighty Eighth Air Force Heritage Museum, the Wormsloe State Historic Site, or Skidaway Island State Park, we’ve got you. Nursing Home Abuse & Neglect in Pooler, Georgia – What you need to know. Pooler, Georgia is located in Chatham County, and has a population of 22,131 residents. Of those, 11.20% are aged 65 and older. Unfortunately like in other nursing homes around Georgia, elderly neglect and abuse occurs quite frequently. What are some types of nursing home abuse? Nursing home abuse is a growing problem in the United States. Some signs to look out for are injuries, changes in behavior, and a compromised mental state, which is unable to recognize signs of nursing home abuse. The most common form of abuse is physical, which usually results in bruising, bleeding, fractures, cuts, and welts. Psychological, sexual, and financial abuse are a little harder to detect. Signs of these different types of abuse usually show themselves in changes of behavior, or an unexplained loss of personal belongings. Avoidable bedsores stem from nursing homes not properly evaluating your loved one’s risk of getting bedsores, and failing to implement bedsore preventions. Also failing to monitor residents who are at a high risk of bedsores is another sign of negligence. Unavoidable bedsores are those that still form even after the proper evaluations and steps have been implemented. The CMS insists that nursing home residents be monitored at least once a day for changes in skin condition. If these conditions are met, then the nursing home may not be liable for negligence. Who is liable for abuse? Whether your loved one was abused from a nursing home staff member or another resident, the nursing home will be held liable. Under Georgia law, nursing homes are responsible in making sure that none of their residents are ever abused. Whether the abuse is physical, emotional, sexual, or financial, none should ever be condoned. Even if it’s abuse in the form of words from another resident, the nursing home will still be held liable. Sometimes emotional abuse can be the worst type of abuse, because the signs are difficult to see. Residents might hold in their emotions for fear of repercussion, or because they’re too depressed to speak up. In these cases, emotional abuse can prove to be detrimental to a resident’s health. If your loved one is suffering from abuse, then it is within their right (or yours if they’re unable to represent themselves) to pursue legal action against the nursing home. My loved one was hurt in a Pooler nursing home – What do I do next? If your loved one had suffered negligence or abuse at a Pooler, Georgia nursing home, that has resulted in an injury or death, then we highly advise you to act immediately. The sooner you act, the sooner you can protect your loved one’s rights. The Healthcare Facility Regulation division is part of The Georgia Department of Community Health that investigates cases of nursing home neglect and abuse. This division also certifies and regulates nursing homes in the state of Georgia. Another route you can take to file a complaint is through the Georgia Office of the Long-Term Care Ombudsman. The Ombudsman program aims to resolves complaints between residents and their nursing homes. This same program is also authorized by law to go into a nursing home and ask questions. If your loved one has been assaulted by a nursing home staff member or another resident, then you should file a police report immediately. 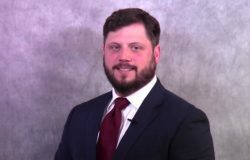 Depending on the extent of what occurred, criminal charges may be brought against the perpetrator by the District Attorney’s Office: Eastern Judicial District. For abuse occurring in a Pooler, Georgia nursing home, report the crime to the Police Department of Pooler, Georgia or to the Chatham County Sheriff. It is within your right and your best interest to search for a better suited facility for your loved one if you know they’ve suffered from neglect or abuse. When doing your research, you should conduct walkthroughs at potential nursing home facilities. While doing so, make sure to ask lots of questions, so that you can get a feel for the facility and their staff. Another useful tool to use is the Nursing Home Compare website which is operated by the United States Centers for Medicare and Medicaid Services (CMS). This site gives ratings to every nursing home in the country, based off a variety of factors including, quality, nurse-to-resident ratio, and inspection scores. For your convenience, a list of all nursing homes located within Pooler, Georgia is located below, along with their contact information and inspection scores. If an injury has occurred, it is important to obtain your loved one’s records. It’s imperative to do this as soon as possible because nursing homes will usually stop at nothing to place all the blame on your loved one. If your loved one falls due to a wet floor and ends up breaking a bone, the nursing home will claim that their bone was already broken before the fall. Even if all the evidence is stacked against the nursing home, they will still try to place the blame on your loved one. In order to build your loved one’s case you will need to get their medical records. Their records will show who the primary physician was, as well as information on the hospital visits. It’s also imperative to obtain the nursing home medical records, since these will show if negligence has taken place before. To obtain these records, you’ll need the proper written authorization due to State and Federal privacy laws that prevent third-parties from viewing or obtaining medical records. The proper written authorization will usually be either a power of attorney, a healthcare directive, or guardianship paperwork. If your loved one has been injured at a Pooler nursing home, then chances are their medical records will be at one of the hospitals listed below. Once you’ve obtained the proper written authorization, your next step will be to make a request to the Release of Information Department of the hospital. If your loved one has passed away, they technically still have the right to pursue a claim. A deceased person’s right to pursue a lawsuit is handed over to the Estate. For example, the plaintiff will go from being “John Doe” to “The Estate of John Doe”. In order to file the suit, you will need to first establish the Estate. To do so, the surviving spouse, child, or relative will need to petition the Probate Court of the County in which the deceased has passed. If you’ve found yourself in this predicament, you should setup an Estate immediately. While doing so you will need to appoint a personal representative, who is often referred to as an Executor or Administrator. This person will act on behalf of the Estate, and will make all the decisions with regards to the lawsuit. Click here for the Probate Court of Chatham County. Each nursing home has their own pros and cons. Below you’ll find information of the nursing home located in Pooler, Georgia, along with pertinent information about it. This information is taken from CMS’ Nursing Home Compare Website. Dedication to One Practice: At Schenk Smith, we focus all of our efforts on helping nursing home residents who have suffered neglect or abuse. We don’t practice any other form of law. Having a singular focus allows us to be knowledgeable on any changes in law that pertain to nursing home cases. Our dedication to this sole practice has resulted in millions in verdicts and settlements for our clients in past 2 years. Resourceful Tools: When you visit our site you’ll notice all of the useful tools that will help you find the answers that you seek. Our videos, podcast, and blog provide valuable information that will help you in your legal pursuits. Everything thing from the types of abuse and neglect that make nursing homes liable, to information on how lawsuits will often proceed is cover throughout our valuable resources, which are free for you to access. 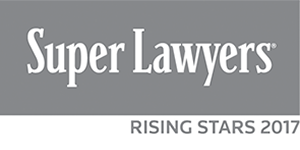 Highly Reviewed: Our attorneys have been selected as Georgia Super Lawyer Rising Stars, which shows that our efforts have been recognized by our peers. 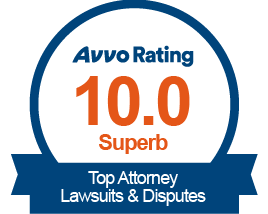 Google also has us as the best reviewed law firm in Georgia that focuses on nursing home cases. On top of these recognitions, feel free to check out our client testimonials. If your loved one was injured or died in a Pooler, Georgia nursing home, please call us at Schenk Smith (678) 823-7678 for a free consultation. You can also check out hundreds of video FAQs on our website.